The periodontal tissues that surround and protect the bottoms of your teeth are important for a number of reasons. Your gums help support your teeth by clinging tightly to them, as well as protect your teeth’s roots from bacterial infection and irritation. When gum recession or the development of gum disease cause these tissues to lose their grip, a gum graft may be necessary to restore their health. With the advanced Pinhole® Surgical Technique (PST), Dr. Kania can perform most kinds of gum surgeries with minimal discomfort and quicker recovery times. 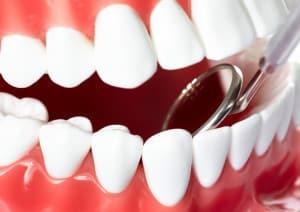 Because of the wide range of issues that could affect your gums, there are several reasons why surgery might be a necessity. For instance, treating extensive periodontal disease could require laser surgery and the LANAP protocol to eliminate the infection in your gums. You might also need a gum graft if you have inadequate gum tissues or root exposure. Even in the absence of gum disease, you may exhibit gum recession, or the separation of your gum tissues from your teeth. Besides the esthetic effects of receding gums, the condition can also increase your risk of developing tooth loss. Typically, a pinhole gum graft can allow Dr. Kania to restore your healthy gums as an alternative to traditional surgery.